Here are the team that run the Sandwell Irish Community Association. 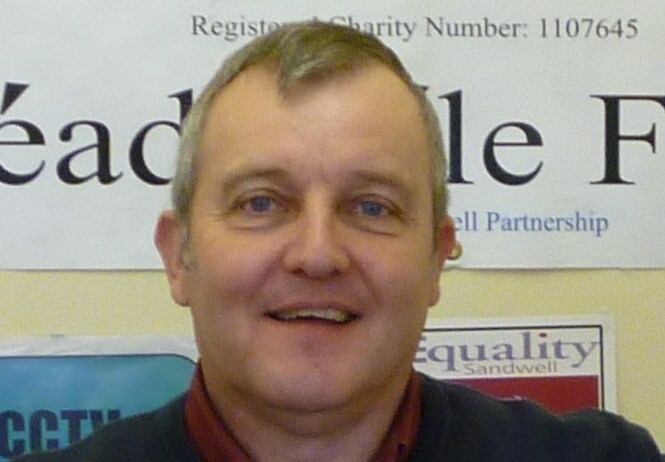 Chris is one of the key founders of the Sandwell Irish Community Association. Following a health needs analysis in 1999 it was recognised that the Irish community were desperately in need of support as they were clearly facing barriers and inequalities in relation to health issues. Chris was on the Board of the organisation before they were able to raise money from the Irish Government, Lloyds TSB and Sandwell Council to fund a full time post. Sandwell Irish Community Association is Chris’s dream come true and he finds it hard to believe he is doing what he cares about the most. Additionally Chris gets to work on projects close to his heart – families, the local area and local people. He spends time in the community garden as he finds it helps to clear his head and think through some of the difficulties faced on a daily basis by the organisation. Chris has great plans for the future, especially now we have moved to Langley Park Lodge – the potential to do more work with more organisations is vast and he is keen to nurture new relationships with other like minded groups and individuals who share his love of life and particularly the Irish culture. Chris is very excited by the Heritage Lottery Fund Oral History Project, Stories from Sandwell and is keen to involve the many Irish friends who have entertained him for hours with their own stories. Some of these include Irish Travellers who often call on Chris for help and support in their time of need. Clive was born in Dublin in 1950. The family came to Birmingham in 1958. He trained as a teacher, became a History teacher at St Francis of Assisi in Walsall for twenty years. He then taught at St Edmund’s in Wolverhampton for thirteen years. Clive retired in 2010. He lives in Walsall and is researching the post-war Irish community in Birmingham at Birmingham University.Clive has joined the team to deliver a teaching package in six local schools leading up to St Patrick’s Day about the children’s heritage and how they differ.